A picture worths 1000 words. If you are a person who loves to see the world through the lens than with your retina, you must share your work with the online world. Who knows a simple click may turn into an epic moment captured memory in the future. We have seen this several times in the history. Photos are captured time capsules. With the advent of the live photos, we can relive the moment for a while now. Being a photographic professional, most of you love to share your works on social media like Instagram. Some of you love to organize your artistic works in a more professional way with a website. The following HTML and the WordPress photography website templates help you to have a modern photography website and portfolio. If you are a retired photographer, who never intends to update your portfolio with your new pics, you can go for an HTML photography website templates. The reason why I am saying this is because updating contents and media is really a tiresome process in HTML websites. Since it is a photography website template, you always have to update your gallery. Apart from the knowledge of using shutter keys and lens adjustments, you should also know to use HTML tags and CSS in the HTML photography website. CMS is the preferred way, and among the CMS, WordPress is the best pick. Still, you can change these HTML website templates into WordPress themes through several transformation processes. Saying that following are the best free photography website templates built with the latest HTML5. Katrine Dove is a professional free photography website templates for freelance photographers. As soon as you land on the website template, you can see brilliant photographs of different genres. The circular space in the middle describes the type of photography. The transition effects when the carousel images changes also look great on the images. As you scroll down, you will see a big about segment with a “Hire Me” button; the perfect place to show you are open for photographic jobs. 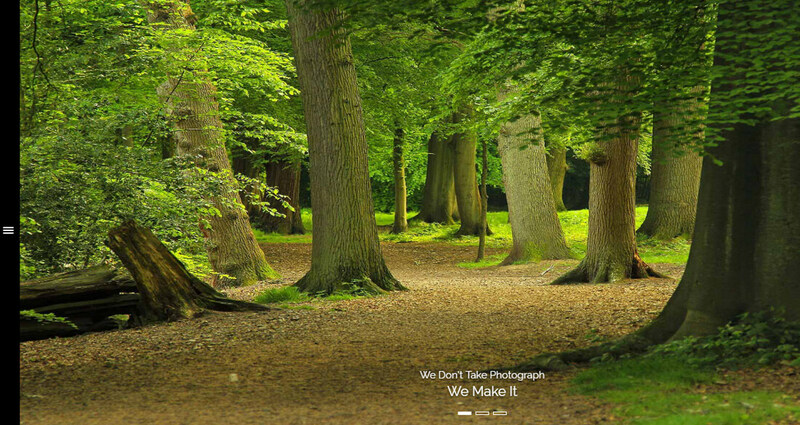 It is a multi-page photography website template. This website template feels more feministic by using pink colors for texts and other contents. The gallery section is also great, and it is also a great CSS website template. Photography is a multi-page photography website template. You have a foldable navigation menu to the right; it is a bit different to the normal website navigation option. The designer tends to follow this web design to help the photographs to be viewed without any disturbance. The landing page is a huge carousel with beautiful images. Best way to stun your visitors with the best shots as soon as they land on your website. As the navigation bar expands, significant space is reserved for the logo to make it brandable. The work page is also designed very well. You get three filter option, where people and select and see your works. The gallery page is designed quite differently; it looks like a scattered gallery. When you click on the next picture, the images align themselves from the scattered pieces. 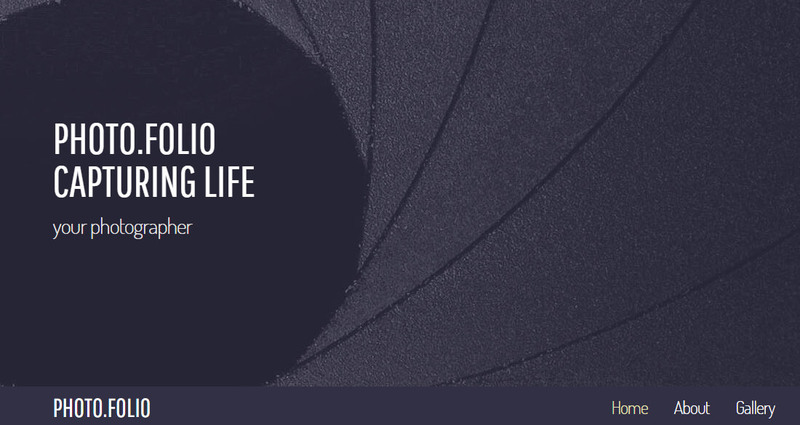 Photofolio is a simple, clean looking photography portfolio website template. 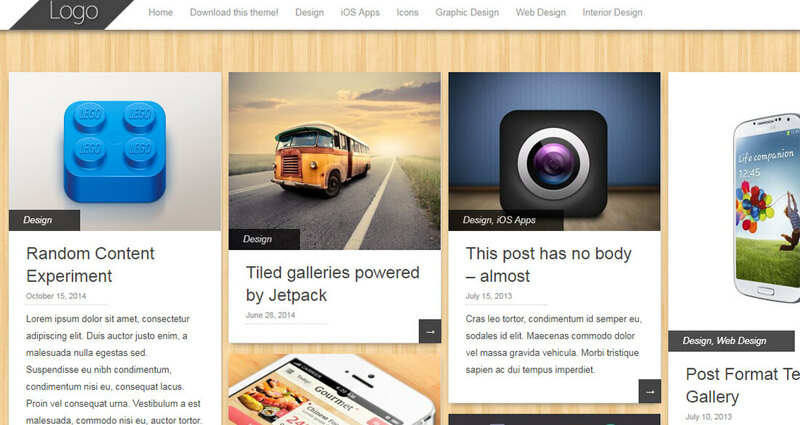 It is a modern HTML5 website template, which is fast and responsive. With a big banner image, you have ample space to describe about you and your works in a bold and neat text fonts. It is a multi-page website template. The homepage let you speak through your photographs first. The masonry style gallery on the homepage interacts well with the visitor; images change on hover. Following the gallery section, you have short bio, testimonials and your social media accounts link. 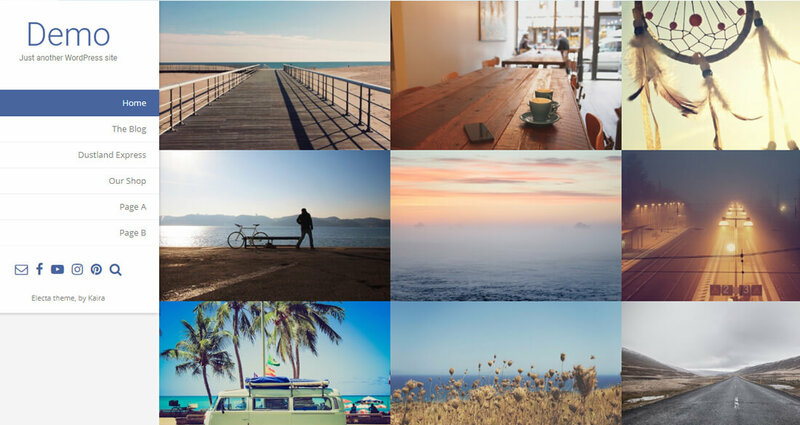 This photography website template has a dedicated gallery page. In the gallery page, visitors can see the photographs along with a short description of the picture. Theme photography is a timeline style personal portfolio website template. Each set acts as an album, which comprises of more related photographs. For example; if you are making photographs of Christmas celebration 2017, you can make this as a separate album and organize all the Christmas photograph in this album. The split screen design helps to avoid a lot of empty space on the website template. It is a multi-page website template with about page, gallery and contact pages. The gallery page is also simple; you don’t have any unique designs or CSS effects. When you hover over the images, you get a red shade with a zoom icon. 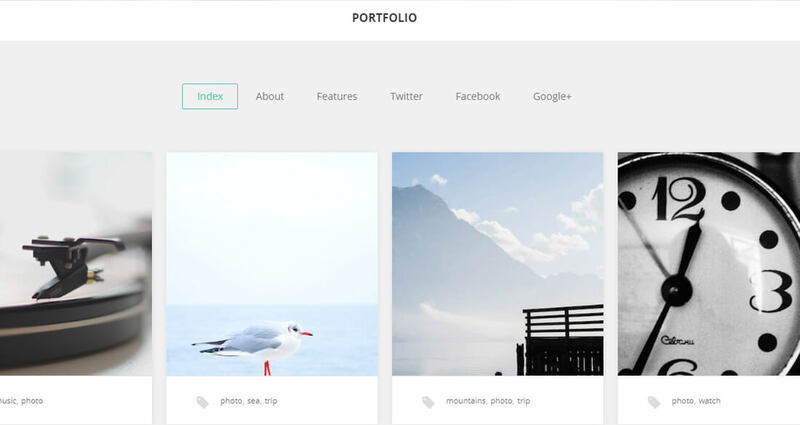 Overall a simple, neat photographic website template, best suits for personal portfolios. AT Gallery, the name itself feels like a studio name right? This photography website template also feels like the same way. The best pick for photography studios. The transition effects on the carousels in the header section are great. As you scroll down, you can immediately see a gallery or a portfolio. Each gallery is properly segmented by their types. Users can easily switch between tabs and can see your versatile photographic skills. 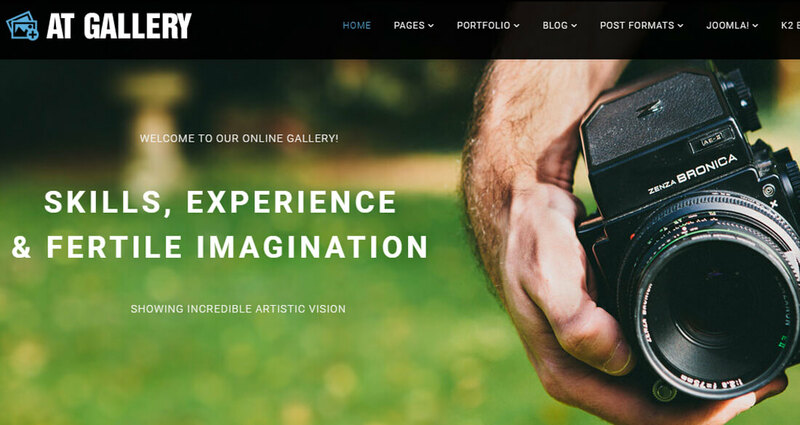 This is an intuitively designed photography website template, best for freelance photographers and photography studios. Photographer website template is the opposite of the theme photography. 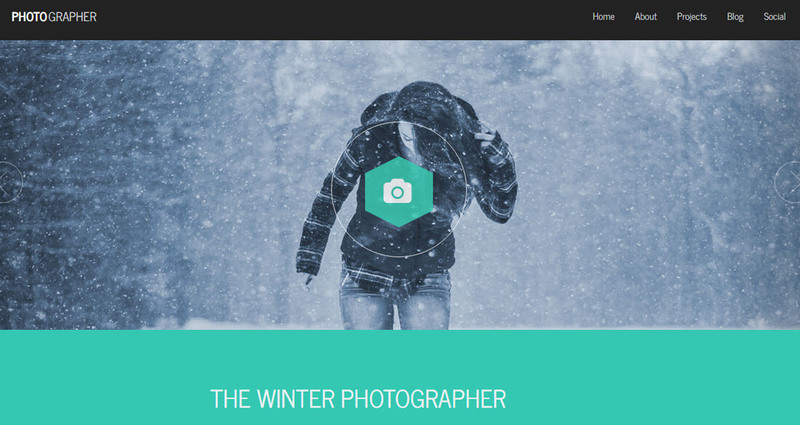 It is a modern looking photography website template with the fresh use of HTML5 and CSS3. The website template is clean and professional looking with only required CSS effects and proper layouts. It is a single page website template, the use of hexagon shape surrounded by a circle for the buttons looks clean on the photographs, and the same hexagon shapes are used for the social media icons. There is no separate gallery page in this website template; the gallery option is provided as carousels. The image holder is big enough to show your photographs beautifully even in the carousels. 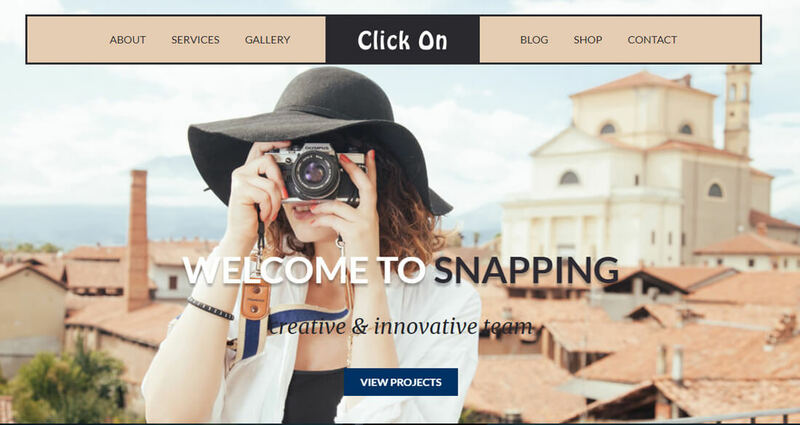 Snapshot is a perfect photography website template for both the freelancers and photography studios. It is professional looking with all the necessary web elements you need for a professional photography website. With a big static hero image section, the text alone changes. It helps to tell you or about your studio in a more intuitive and interactive way. It is a multi-page website template. You get all the necessary pages like about, services, gallery and contact pages. This website template is built over the modern HTML5 and CSS3 frame, so it responsive and fast on any devices. The gallery page also looks great, with neat and subtle animation effects. The proper use of layout design and effects make this website template a perfect pick for the professional photographers. GavickPro portfolio is a straightforward, simple website template. 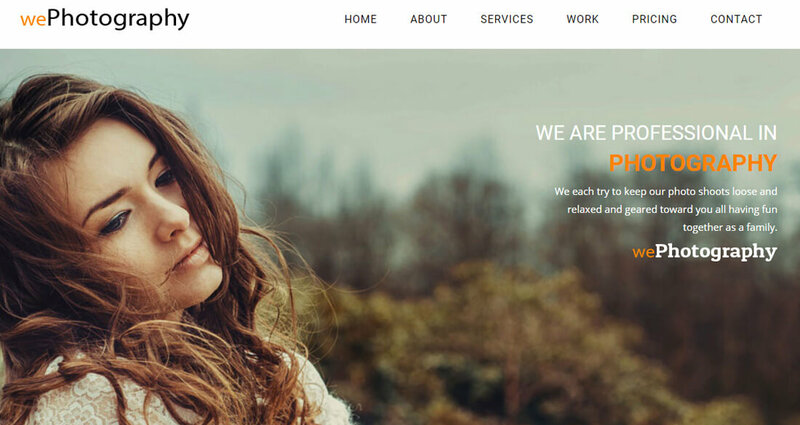 If you are looking for a photography website template only to showcase your photographs, then this template is the right one. It solely has only one purpose, to showcase your photographs and share the story behind the photograph. You don’t have any other pages in this website template.Each photograph can be made into separate posts. 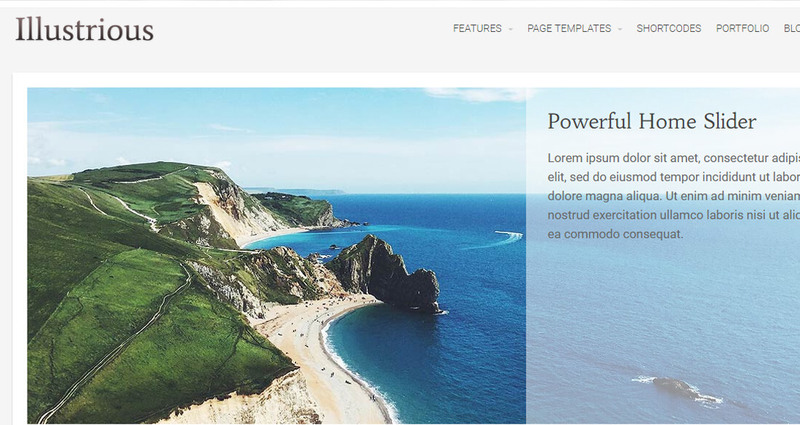 If you are a travel blogger, who love to take and share pictures, then you can use this website template. This website template is also available to be downloaded in WordPress and Joomla. Capture is a bright color website template, with the modern layout design. The template is completely designed by keeping in mind about the photographs. You can see small animation effects here and there on the website template, which is the unique point of this website template. 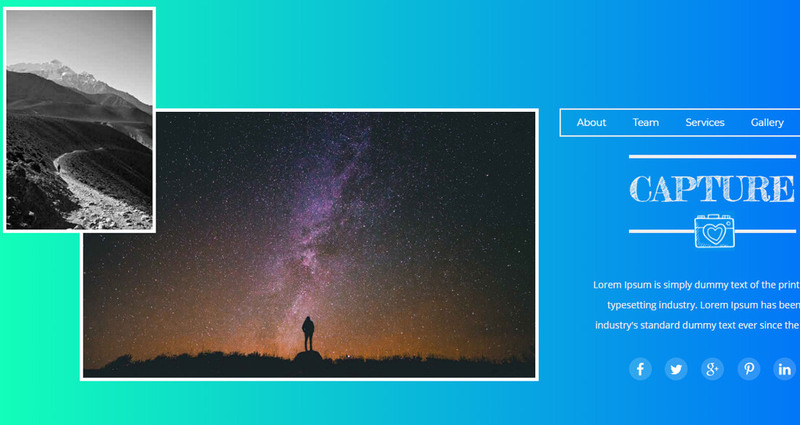 The bright colored gradient makes this website template feel like a premium photography template. The box styled layouts help to display your photographs and also helps to describe you and the work. It is a single page website template. By far this photography website template has the best gallery section in the HTML website templates in this list. You get a nice zoom in effect and line shades when you hover. The images are shown on the full screen when you click the images. The full-screen mode takes the complete advantage of the user’s screen and displays your photograph beautifully. Capture is a professional looking photography website template. It is more or less same as that of the Capture website template in this list. The layouts and the color used in this website template differs from the Capture website template. The hero image section is static and the content alone changes, this helps to describe you and your services easily. The CSS animation effects are clean and professional looking. It is a single page portfolio website template with all the necessary website elements you need for a professional photography website template. The gallery section is also designed well with enough space for each image to make it look clearly in the grid layout. When you click on an image, the image expands to the full screen with image title and a small note about the photograph. Click on is a photography website template for freelancers and photography studios. 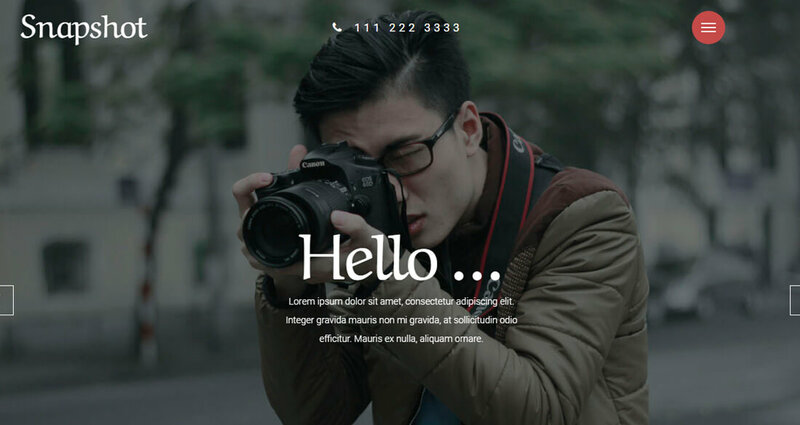 It is a simple multi-page photography website template with all the necessary web pages you need for a professional website template. The home page has a big hero image as the header section; it does not have carousels like other website templates. Below the header section, you have service section, gallery section, and testimonial section. The gallery section in the home page is designed like a carousel that automatically scrolls in a periodic interval. Apart from the gallery section in the home page, there is a separate page for the gallery. The gallery is designed in a way that the photographs are displayed according to their category. Users can easily switch between tabs and find the images they want. 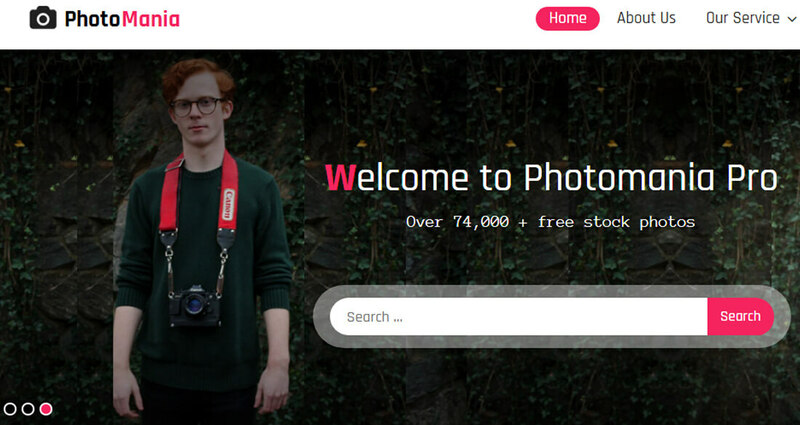 We Photography, a modern looking photography website template. The template is clean and simple looking, with the use of trend HTML5 and CSS3 elements this template make you feel like a premium website template. Since the template is developed on the HTML5 and CSS3, the website template is lightweight and responsive. It contains all the website elements you need in a professional website; you can start your photography website right away. The galley section is designed in the gridview with large space, so that the images can be viewed clearly. WordPress photography website templates give you lots of useful features than the HTML website template. As said before, updating and maintaining contents on WordPress easy like using your computer and smart phones. Even if you need to add a new feature or intended to extend the given feature, you can do it easily with the help of a plugin. Following are the best WordPress photography website template. Fotography is a multi-page WordPress free photography website template. It is a multi-page website template with all the features and options you need in a professional photography website template. Each image section is provided with ample spaces to display your high-quality photographs beautifully on the website. The gallery is designed in a masonry style layout, the CSS work on the gallery section is also immaculate and elegant. When you hover over the image, you get two options, one to preview the image and other is the link to the particular images. In the preview option itself, you get the option to tweet the image and also a facebook like button. There are four gallery views and three single gallery post view. It never feels like a free photography website template with so many page variations and options. It is a freemium WordPress template, that is it has both the free version and pro version. If the free theme really impressed you and if you want advanced feature go for the pro version. 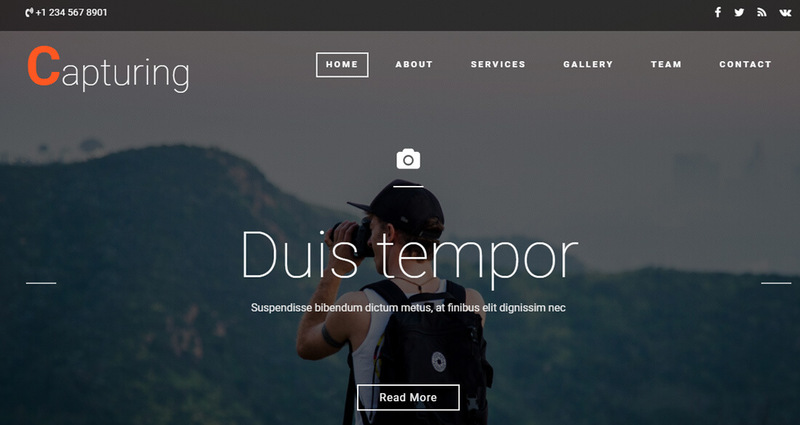 Aperture is a straightforward, simple WordPress photography website template. It is a multi-page website template best suits for photographic blog sites. Since the navigation options are isn’t quite up to the mark and the lack of profession website element, make this website template not the best choice for professional photographers and studios. It is also the best option for the travel bloggers. With a big carousel image as the landing page with a link to the posts, help the travel bloggers to share their story with beautiful images. But hey it’s WordPress website template, you can customize the theme with the pages you want. Design and functionality wise this photography website template are great. Panorama is a photography website template with a unique home page website template. The whole screen is split into a horizontal screen with different pictures. When you hover over the image, you get a short note of the image and a link to the single page of that picture. It is a multi page WordPress photography website template. The gallery page/ portfolio page is designed like a slide show. User can choose from different sets of sliders and experience your photographs. Portfolio gallery, as the name implies this is a photography portfolio website template. The HTML5 and CSS3 works are clean and looks professional on this website template. This website template let your photographs speak for you to the visitors. The masonry style gallery layout gives equal space for each image in the portfolio, so that all the images can be viewed easily by the viewers. The menu options are given to the standard sized left-hand side navigation bar, to make this template look different and modern. It is a multi-page WordPress photography website template. This template is the best choice for the freelance photographers. 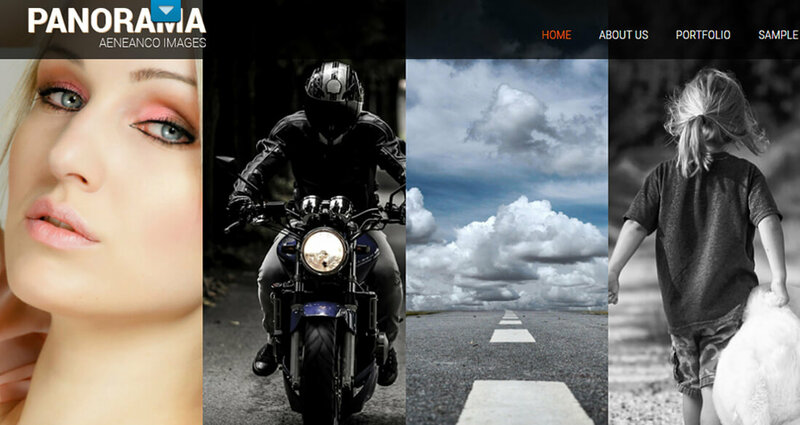 Photomania is a clean looking professional photography website template. It is the best pick for both freelance photographers and studios. It is a photography website with a lot of white space to display your photographs neatly without any visual and color hindrance. The header section is with the properly sized carousel with subtle transition effects. Since the space below it is white the images in the carousel looks clean and elegant, and the search button at the center is a user-friendly feature for the user to find their favorite photographs. The gallery section comes immediately below the carousel, with different category tabs. It is a multi-page WordPress template with all the common pages you might normally need on a photography website. Electa a common style photography website template that one might expect. If you are in search of regular styled free photography website template, then this template is for you. It is also a multi-page website template. The home page itself acts as a gallery page in this website template. 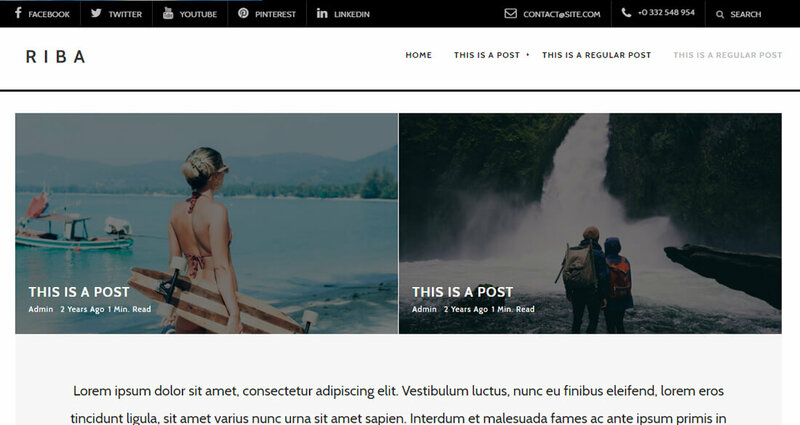 Electa is the next photography website template on this list which supports WooCommerce by default so that you can use this website template for your e-commerce store also. 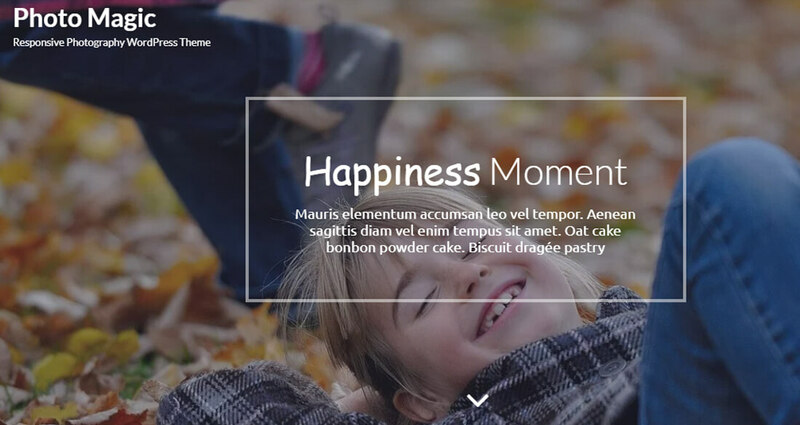 Photomagic gives you more than you expect in a free website template. This website template is a modern website template, all the web elements and the fonts used are in current design trends. 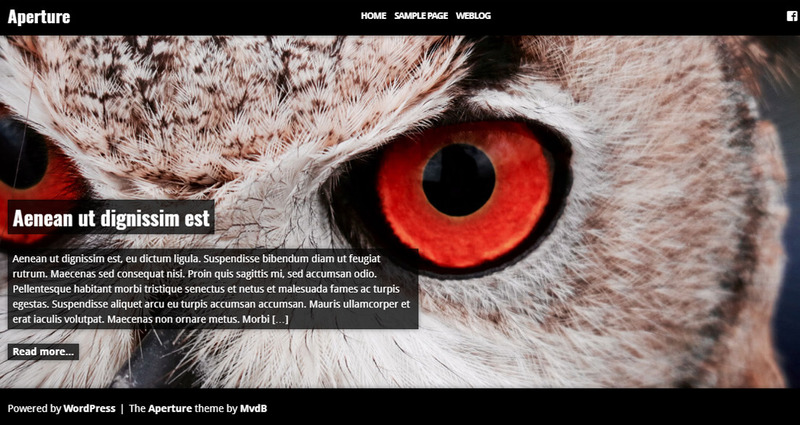 It is a multi-page website template build on the HTML5 and CSS3. The template is lightweight and also mobile responsive. 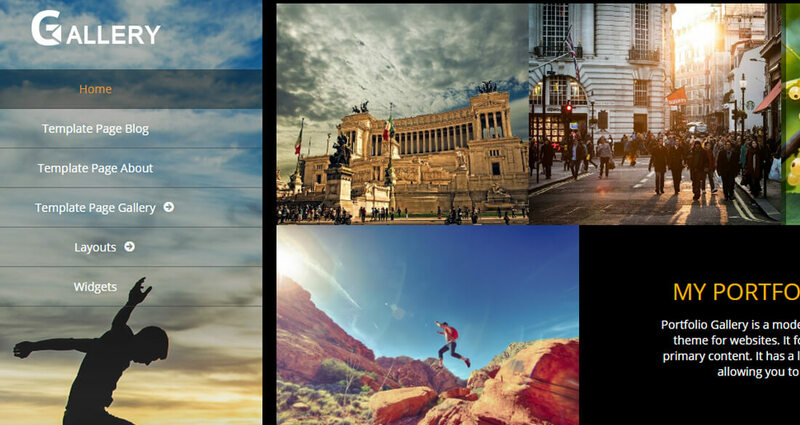 Below the big header image with neat transition effects you will find the portfolio and feature image sections, both the parts are designed in a grid view. Photomagic provides three types of page layouts to choose from and by default has five categories to organize your portfolio. Bloc is a traditional looking photography website template. It is a minimalistic website template with lots of white space and reduced the complexity of animation effects and other transition effects to make the website template load faster. The website template comes with three default pages; home page, about and contact page. On the white background the images look clean. On clicking the images, the picture expands to the full screen gallery mode. You also got a social media links at the bottom right corner. This photography website template best suits for personal portfolio. 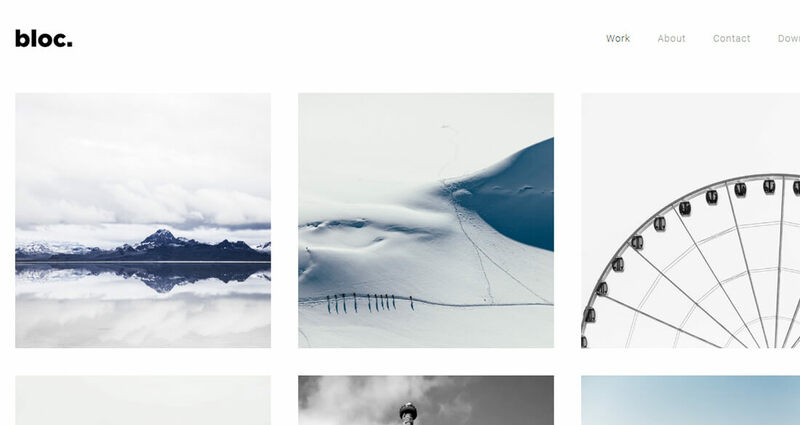 Illustrious is also a minimalistic photography website template. There is both free and pro version of this WordPress template. This is a multi-page website template with almost five different page design. If you are into minimalistic design you will like this website template. Riba lite is a perfect pick for travel bloggers and photographers. The intuitive design of this template helps you, display your pictures and also the story behind the photography elegantly. At the header itself you will get the social media links and other useful navigational elements. This website template is build on HTML5 and CSS3, so that the website is fast and responsive by default. Pinbin is a Pinterest style layout website template design. This layout makes this photography website template unique from others. You can categorize your photographs and can organize them effectively. When you click on a image it takes you to the particular album, where you can see more related images. It is a clean and easy to customize WordPress photography website template. These are the best WordPress HTML and WordPress free photography website template. Some of the templates give you loads of features like a premium template, while some of them give you only the features you can expect in a free website template. This list comprises all types of website template, select the best one you need. Let us know which template you like and also your favorite photography website template that is not on the list in the comment section below.